Week 40 - Polaroid One Step Close Up, a Polaroid 600 instant film camera given to me by a friend who found it in his closet. The camera has a built in flip up flash powered by the internal battery of each Polaroid 600 type film pack. This closeup model features two focusing distances, with a slider between close up of 2-4 feet and distance of 4 feet to infinity. There is also a lighten/darken switch to adjust the exposure of your photos. 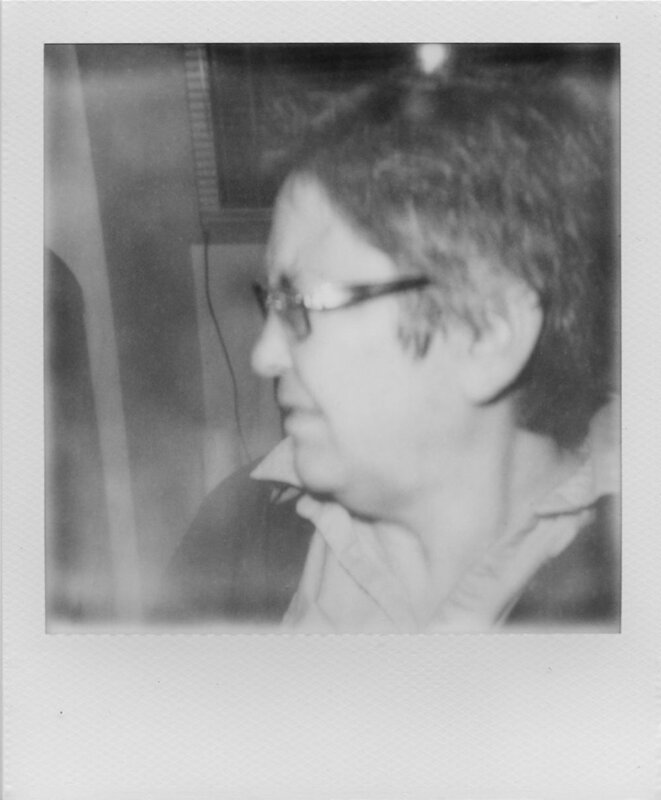 I had on hand an expired box of Impossible Project 600 black and white film, leftover from an expired film bag special from Impossible Project. My frugality will not allow me to purchase full price film, I usually only purchase the factory seconds or expired film bag specials. I also like the unpredictable results achieved with these films. 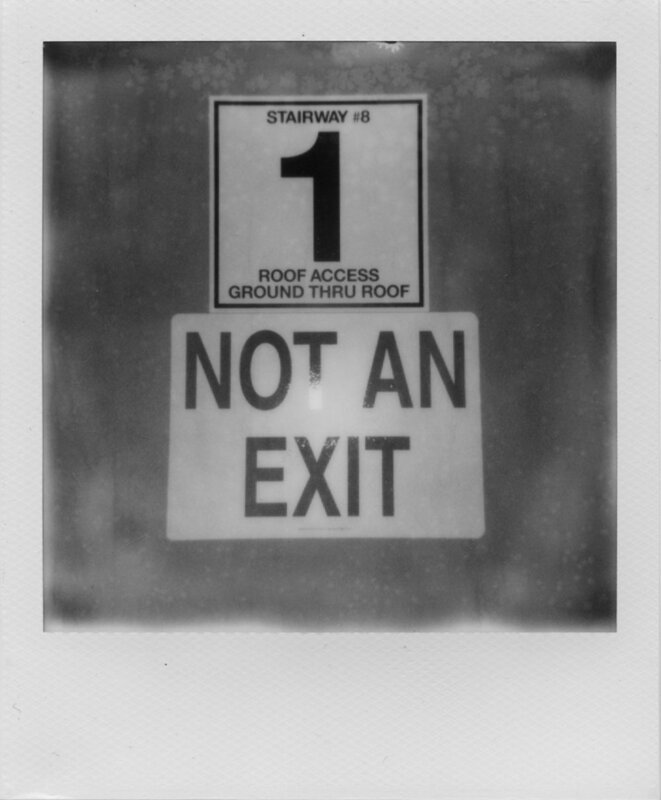 If I want to get consistent, predictable results, I shoot with Fuji Instax Wide and Mini. With no ideas or destinations in mind this week for subject matter, I turned to shooting photos of my friends, and a self portrait. I found I liked the outdoor shots better. 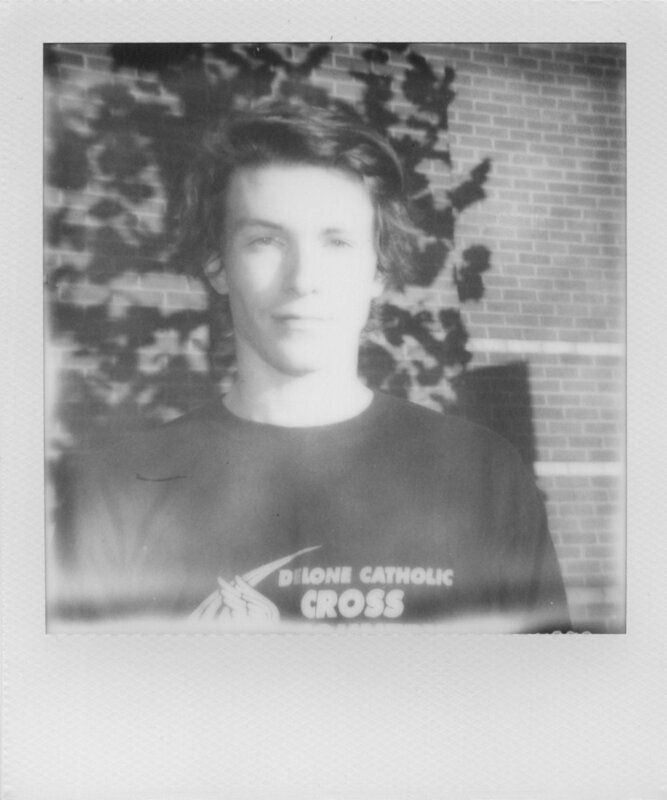 One of my photographer friends commented that his portrait had Holga-like qualities with the softly focused edges and another friend liked the unique black and white instant photo, something that you don't usually see. They were all pleased when I gave them their photos after scanning them. Time to get ready for Fall Polaroid Week coming up week after next, I hope the new Fuji Instax Mini Monochrome will be available by then.